California-based cult rapper Lil B, given name Brandon McCartney, has remained outspoken about his political views since before the upcoming 2016 presidential election campaign. In a track produced several years ago called "B---- I'm Bill Clinton," Lil B endorses Hillary by saying, ""Shout-outs to Hillary Clinton. You gonna win that presidency," even before she officially announced her candidacy. Now, Lil B has taken that back and vows to support Democratic candidate Bernie Sanders. In a series of tweets, he explains why. Hillary Clinton has gotten several endorsements from rappers in recent years. 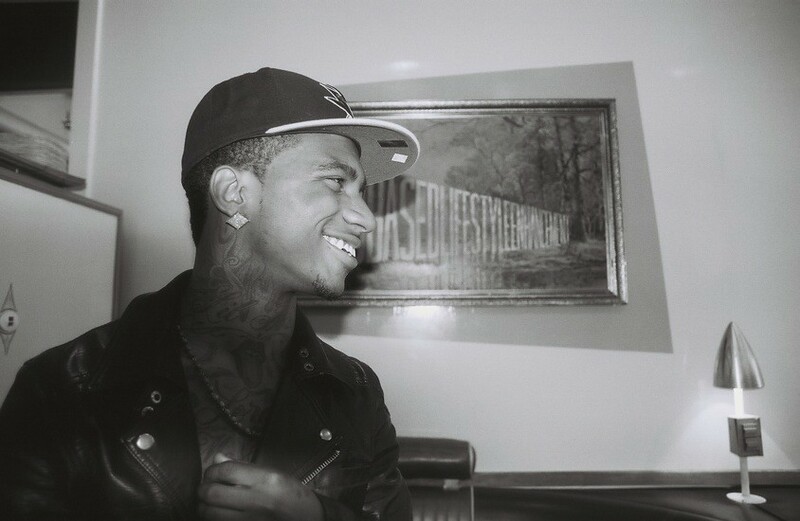 Lil B elaborates, in regards to Hillary's beginnings as a supporter of Republican candidate Barry Goldwater in 1964, "I want to feel her out ... I always look at where people started and I want to know what she has to say about that." Lil B has been vocal about civil rights injustices plaguing the African-American community, and released a track called "I Can't Breathe" in the wake of the chokehold death of Eric garner at the hands of the NYPD. In response to Bernie Sanders' recent confrontation with Black Lives Matter protesters, Lil B says both parties need to give each other a chance. "It might be uncomfortable for him to talk about the issues, but he has a leg to stand on. If he was marching for civil rights back then, he was protesting against segregation ... and all the youth, the black youth, should be able to hear him out. Of course, with age differences ... he might feel a little weird talking to younger people that might look different ... or might feel a little different." "I really do represent a lot of people, the poor people ... people who barely got $20 to their name ... the middle class, the teenagers ... people who aren't paying attention but they still have questions and have voting power," he said. While a student at the University of Chicago in 1962, Bernie Sanders was arrested for standing against segregation in Chicago Public Schools. Sanders has a 93% approval rating from the ACLU. President Obama jokingly called him a "pot-smoking socialist."